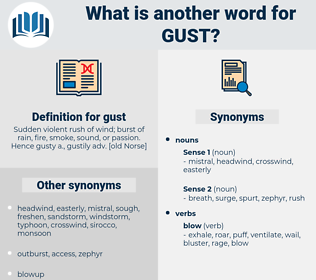 What is another word for gust? If only a gust of wind does not come and blow my legs off my body, for they are as rotten as tinder. It happened to a farmer's son, that his load of hay was blown over by a sudden gust, on an exposed plain. 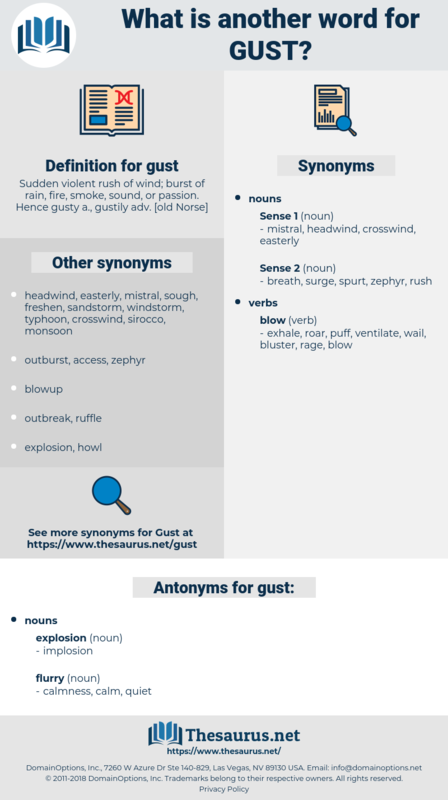 bluster, sandblast, puff of air, whiff, puff. wind, air current, current of air.